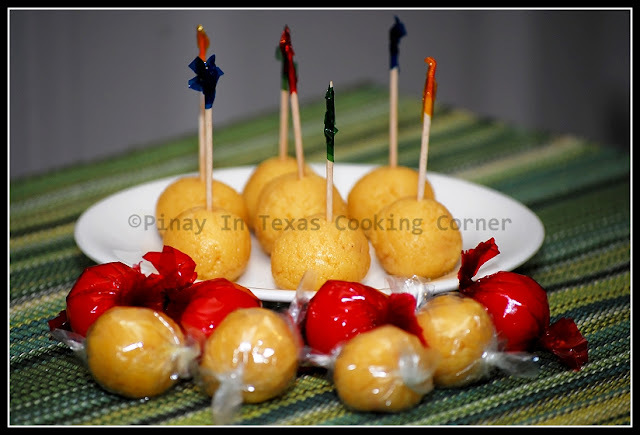 Yema is a type of custard candy in the Philippines that is made from egg yolks and condensed milk. Even though yema is available in most sari-sari stores in the Philippines, my mother used to make this so often. My brother and I just loved it! It is another very easy to make Filipino dessert. If you have a sweet tooth, then yema is something that you should try! 1. Place the butter in a saucepan and allow to melt over low heat. 2. Add the condensed milk and allow to cook for 5 minutes while continuously stirring. 3. 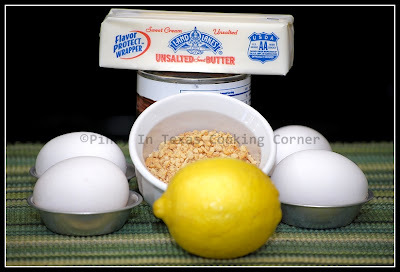 Add the egg yolks and lemon extract and continue stirring for 3 minutes. 4. Set the heat to medium and put-in the chopped cashew nuts and stir until the mixture becomes thick (about 20 minutes). Adjust heat to low when texture is about to be achieved. 5. Remove from heat and allow the mixture to cool down. 6. Scoop half tablespoon and shape into a ball. Note: If you want to store it, I suggest you wrap them individually in cellophane. hi Tina i make yema today but its darker than the one in your post. I even cook it over low fire for about 15 mins. I don't know what happened. If you cooked it over low heat, I honestly don't know what went wrong. How did it taste like? If it didn't taste like burnt, I guess the dark color doesn't matter.